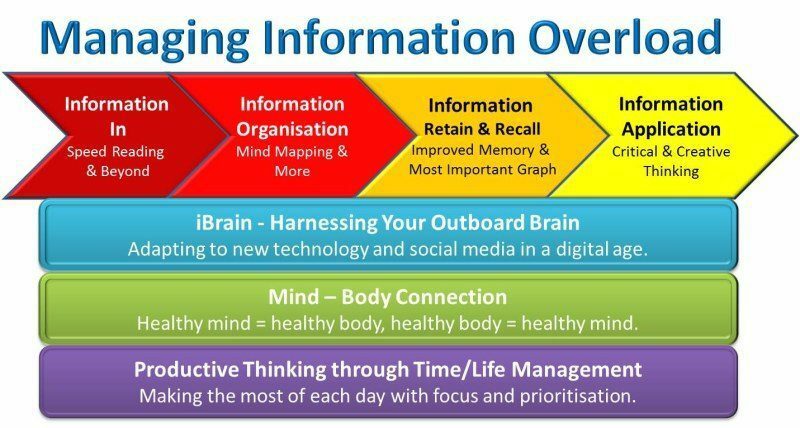 Managing Information Overload is without doubt one of the most important skills an individual can develop today. 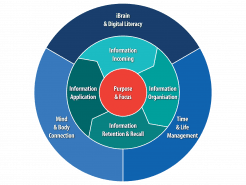 With the massive increase in information availability, and more bombarding us every day, we see people and organisations struggling to maintain their performance as they get weighed down. The impact on the individual is stress, overwork, loss of confidence and potentially worse. For organisations the impact is multiplied as their people suffer, resulting in lower productivity and poor performance. To address this, action needs to be taken to understand what is involved in Managing Information Overload and then actually doing something about it. It begins with having a clear Purpose and Focus on what you want to achieve in long, medium and short term, because without this clarity you won’t know what information to seek out, and more importantly to screen out. The Mind/Body connection, which says healthy mind = healthy body – healthy body = healthy mind. Time and life management to ensure more productive thinking on the things that really matter. 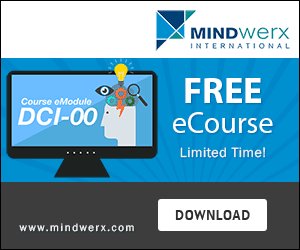 To help address this Mindwerx has courses on skills such as Speed Reading, Mind Mapping, Design Thinking, and Serious Creativity. And to discuss how we might develop a specific course for your organisation email us at team@mindwerx.com.